As Margaret was busy this morning we delayed our trip out until this afternoon and went over to Pennington marshes near Lymington. 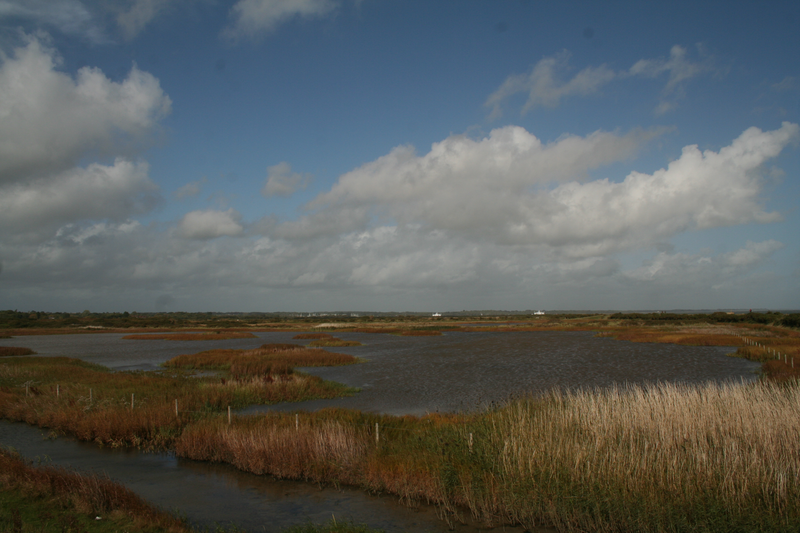 This extensive area comprises of salt marsh and tidal mud flats with a series of freshwater pools behind the sea wall and is an excellent place to see waders and waterfowl. 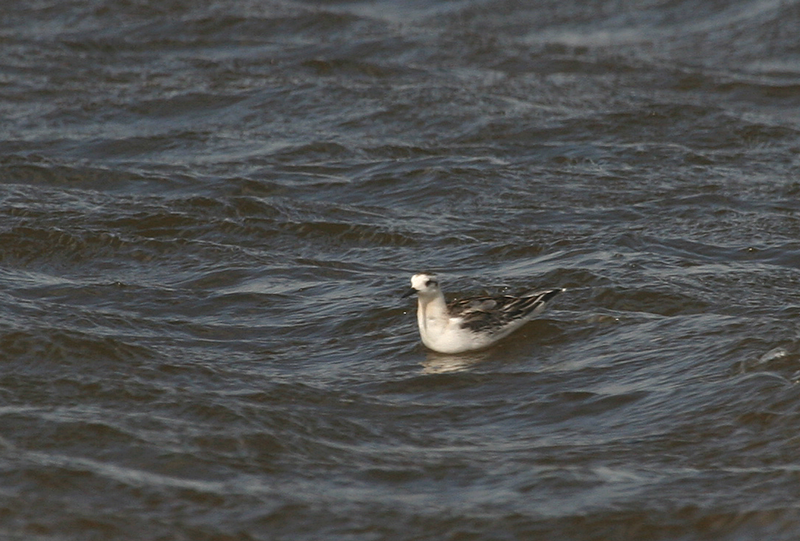 The bird we had come to see was a Grey Phalarope, an unusual wader that breeds in the high arctic and winters at sea, mainly in the Benguela current off Namibia and the Humbolt current off western South America. 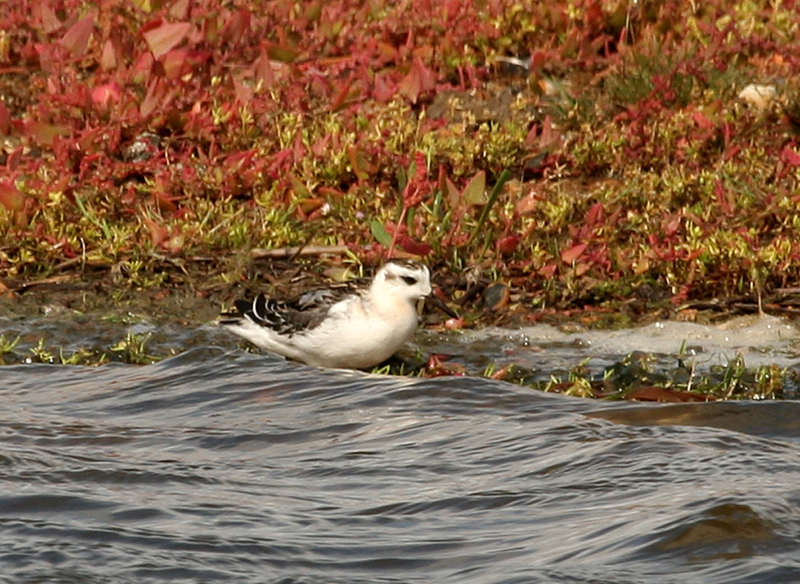 Young birds are often storm driven towards the coast in the autumn and can be seen on seawatches and occasionally feeding on coastal pools. 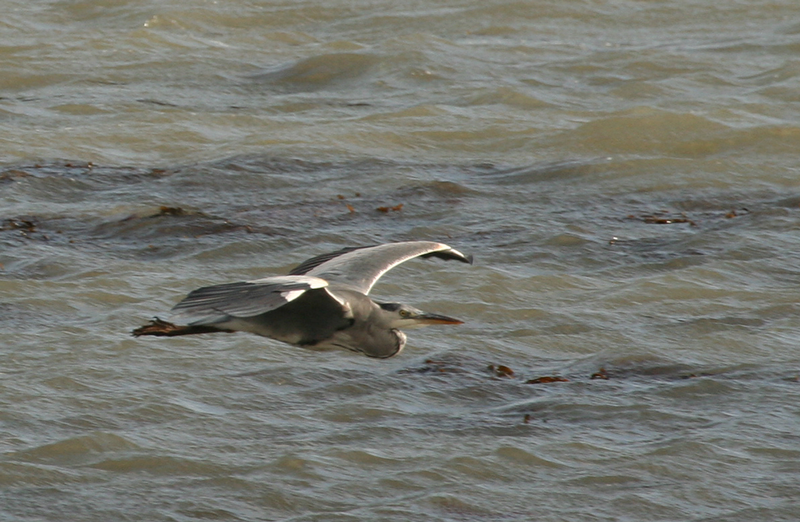 Although they will feed along margins as in the photo above, they are more often seen swimming in circles, disturbing small insects which they catch in their fine bill. 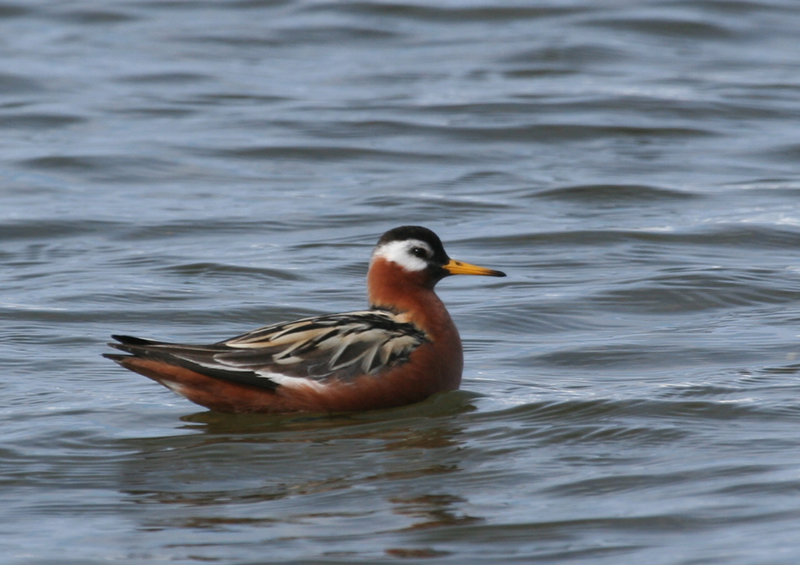 Although known as Grey Phalarope in the UK, the internationally recognised name is Red Phalarope, after the stunning summer plumage of the female. 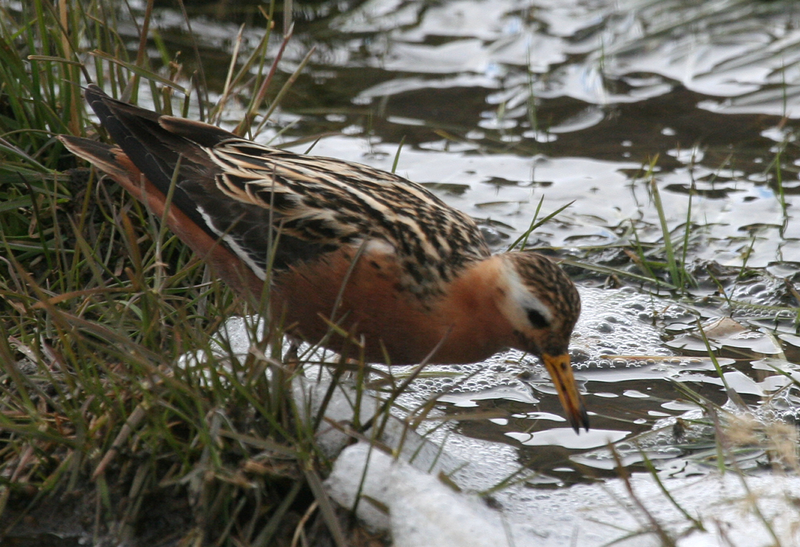 Photo taken Spitsbergen June 2009. 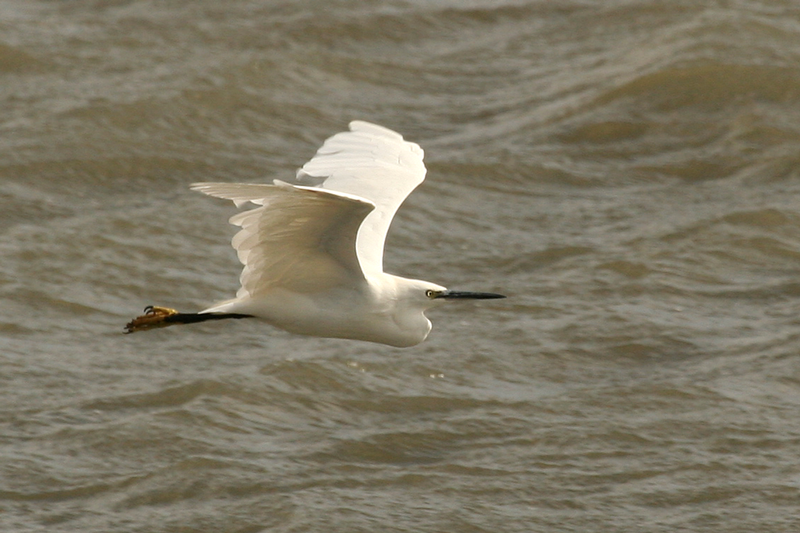 ... as did the smaller Little Egret.